Due to the vast amount of oil and natural-gas activity that exists in the state of Texas, our roads are constantly congested with heavy trucks hauling rig equipment, water, fracking sand, and other materials, making the roads ever so dangerous. In connection with all of this new traffic, the existing roads are rapidly deteriorating. With a demanding driving schedule, drivers are often speeding while distracted by there phones and dispatch calls for dropping off or picking up their next delivery. 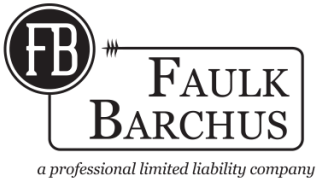 At Faulk Barchus, our attorneys represent people who have been injured in oil and gas trucking accidents. Additionally, we represent families who have lost loved ones in these accidents. In order to increase the chances of successful recovery for a truck accident case, it must be filed as soon as possible. It is crucial to preserve evidence and get an on-the-scene analysis showing if negligence, wrongful conduct, or driver distractions were a factor in causing the accident. Any delay could result in lost evidence. If you or someone you know has been injured or even killed in a heavy trucking accident, our attorneys at Faulk Barchus will conduct a thorough investigation to determine if the trucking company or the driver failed to follow the rules. After all, the purpose of the civil justice system in Texas is to hold people accountable when their negligence injures or kills an innocent person.